We’ve got a fresh and delicious new rehabilitation lesson kit for you! 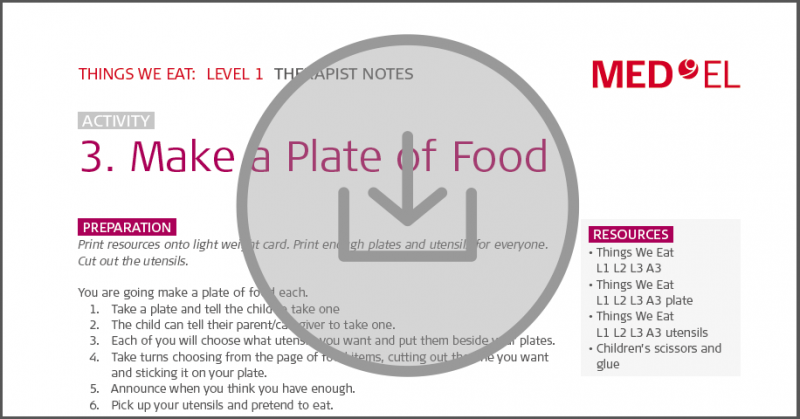 This month’s lesson kit focuses on using food and meals to build listening and communication skills. In this free aural rehabilitation download, you’ll find more than 40 pages of detailed lesson plans and illustrations, so check it out now! 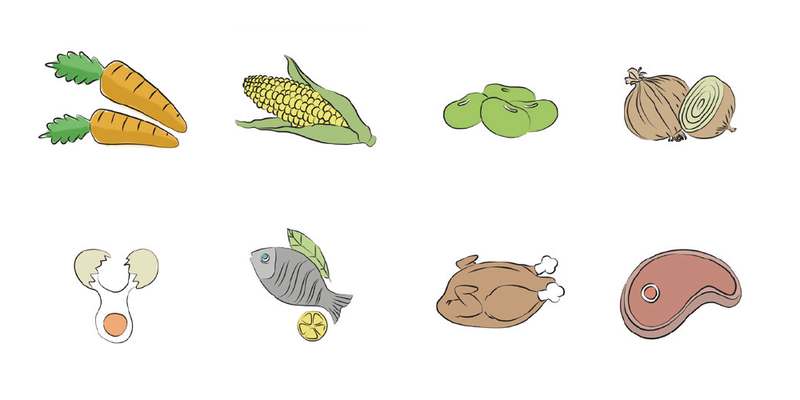 This aural rehabilitation lesson kit is themed “Things We Eat” and is a great way to use food, meals, and likes & dislikes for aural rehabilitation. In this lesson kit, there are matching activities, a food-themed “fortune teller”, role-playing games, and a book to read together. Each aural rehabilitation lesson kit has three levels to cover a wide range of listening, spoken language, and cognition abilities. All of these aural rehabilitation lesson kits are available free of charge—we’re here to support your work and the success of every recipient. They can be printed, emailed, shared with colleagues, and even given to parents as supplemental at-home aural rehabilitation resources between sessions. Download Rehabilitation Lesson Kit #9 now!